A steep rise in debt owed by self-employed people with faltering businesses is a ticking time bomb for the South Korean economy, experts warn. Outstanding loans to the self-employed increased 77 trillion won ($68.9 billion) on-year to 598 trillion won at the end of last year, according to data from the Financial Supervisory Service. The figure is now estimated to be close to 615 trillion won, given that banks extended 15.8 trillion won more in loans in the first seven months of this year, with figures for nonbank lenders yet to be tallied. The rapid increase has alarmed state financial regulators. Choi Jong-koo, chairman of the Financial Services Commission, said last week that debt held by self-employed businesspeople would be placed under tighter management. What complicates the matter is that many self-employed businesspeople are struggling to stay afloat amid slumping domestic consumption. The self-employed saw sales drop an average of 12.3 percent on-year in the first quarter of this year, according to research by an organization set up to promote small businesses. Steep minimum wage hikes make things harder for self-employed businesspeople, who typically hire a few part-time or temporary workers. As part of the Moon Jae-in administration’s income-led growth drive, the minimum wage is set to increase 10.9 percent next year, following a 16.4 percent jump this year. Choi conceded that it would not be easy to cut back on loans to the self-employed without aggravating the difficulties they face. The number of self-employed people who have to close their businesses is expected to exceed 1 million this year for the first time. The number stood at around 900,000 last year, according to the National Tax Service. The ratio of self-employed businesspeople closing their businesses to the number of newly self-employed businesspeople is also projected to rise from 87.9 percent in 2017 to 90 percent in 2018. A survey conducted by the Bank of Korea in July showed that scores on the index on future business prospects remained at 79 for self-employed people, compared with 91 for wage earners. The gap is the widest in a decade. A reading below 100 indicates that pessimists outnumber optimists. 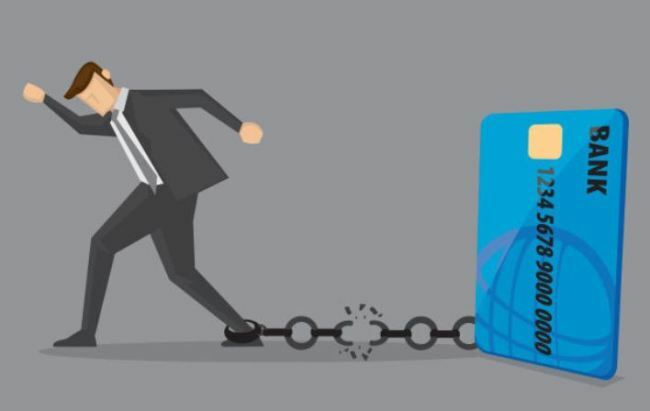 “Most self-employed people have resorted to loans to operate their businesses, and their failure to pay debts would pose a severe risk to the economy as a whole,” said Sung Tae-yoon, an economics professor at Yonsei University. According to the Financial Supervisory Service, self-employed people had average outstanding debts of 324 million won as of the end of 2016, nearly five times as much as the general population, for which the average is 66 million won. What is more worrisome is that the self-employed are more reliant on loans from nonbank lenders, which carry higher interest rates and shorter maturities. Nearly 70 percent of self-employed businesspeople had borrowed from nonbank lending institutions as of September last year. Nonbank loans to the self-employed jumped 26.5 percent in 2017, while bank loans to the self-employed rose 9.7 percent. The fact that income for self-employed people is decreasing means there is a greater chance that many of them will default on their debts. Self-employed businesspeople who fell into the lowest-earning 20 percent of households saw their income shrink 13.8 percent on-year in the first three months of this year. Experts say that efforts to curb debt among self-employed businesspeople need to be accompanied by measures to reduce the number of laid-off or retired workers joining the ranks of people in that category. For example, it is important to upgrade training programs to help them get the skills that industries require. Self-employed people account for more than a quarter of all workers in the country, a far higher proportion than in other major advanced economies. The corresponding figures stood at 10.4 percent for Japan, 10.2 percent for Germany and 6.3 percent for the US. Lee Jung-min, an economics professor at Seoul National University, said the country’s job training programs have so far focused on nurturing self-employed people, rather than on getting laid-off or retired workers back into the labor market. The steep rise in debt among self-employed people is attributable partly to efforts by lending institutions to increase business loans in the face of tightened rules on household loans. Outstanding household credit expanded from 1,450.8 trillion won in the fourth quarter of last year to 1,493.2 trillion won in the second quarter of this year, according to data from the Bank of Korea. Rising household debt and debt among self-employed businesspeople has intensified the dilemma faced by the central bank regarding interest rate hikes. Soaring debt levels, along with worsening employment conditions and sluggish domestic consumption, have held the BOK back from raising its key rate, which has been frozen at 1.5 percent since November. BOK analysts estimate that an additional 0.25 percentage point rate hike will increase households’ interest payments 2.3 trillion won annually. But the central bank also needs to heed the widening rate gap with the US. The US Federal Reserve is expected to make two additional rate hikes for the rest of the year, putting the federal funds rate in a range between 2.25 and 2.5 percent. The country saw a monthly average of 2.7 trillion won in foreign capital flow out of domestic financial markets after the rate gap with the US widened to 1 percentage point in 2006.